This weeks radio interview about executive coaching turned out to be both an excellent discussion with coach John Oberg, and a learning experience for the host of the show. For the first 14 minutes there were technical difficulties with the Blog Talk Radio system that prevented me from hearing John. Therefore as the host of a live show I had my first experience with having to fill dead air. Oh yes, I just talked about my experiences with executive coaches and talked about how one always must have a "back-up plan" when participating in live events. Fortunately, John kept calling in from different phones until we got a connection that worked, and we jumped in with both feet to discuss the topic. If you have ever wanted to more about how corporate coaching operates, then take the time to listen to this weeks interview. Click Here to listen. It should be fun for some to hear me squirm for the first few minutes! Each week Liz Strauss calls a list of bloggers "SOB's". And it's a good thing! Her ongoing list of "Successful and Outstanding Bloggers" is nearly two years old (this is week 101) where she honors blogs that "take the conversation to their readers, contribute great ideas, challenge us, make us better, and make our businesses stronger". It made me smile. Thanks Liz. This morning I stopped to put gas in my car at a small gas station / mini-mart. There were some cars lined up at so I had to wait my turn, but not very long. As I got out to do my business, a motorcycle pulled in behind me and used the second pump. He had entered from the left side of the pumps while there was still a silver Honda Accord in line to the right. The woman in the Honda had to wait about another minute to get to her pump, and then she unleashed on the biker for cutting in front of her to get to the pump. Wow, maybe he did cut, (from my point of view she was awaiting a car that was about to clearly finish, and he came around the other side, but who knows...maybe she had planned to drive around and circle into the right at that moment), but she was nasty and mean spirited about her ninety second delay to get to the pump. I was a little shocked. He was not going to take her word daggers, and launched right back at her calling her names that one might expect from a guy on a motorcycle. She tossed the "F" word at him, and he made references about her personal relationships in colorful language that again one could visualize coming from the bandanna headed biker. Meanwhile we all still filled up our gas tanks. Even if he did take "cuts" in line (I am still not convinced he did that), it did not really impact her world. Nobody stole her dog or shot bullets at her, and I cannot imagine that the one point five minutes of waiting was worth her blood pressure soaring. Of course, he did not need to engage her in the verbal tongue fu. They both were acting without much class or respect toward their fellow man. But this happens all the time. People judge a situation from their own vantage point and immediately attack others. I am not suggesting that one should not stand up for themselves, but sometimes the world just needs a big "chill pill". Surveys suggest that 87% of Americans would like to write a book. Are you one of them? Come and listen to success stories of self-published and small-press authors to discover the advantages of bootstrapping your book. Bootstrap Austin presents:"Bootstrap You Book: Real Life Advice On How and Why To Self Publish"
Date: Sunday, October 7, 2007. If Peters is right, and I think he is, then you must make the same level of investment in yourself that we see large companies making to become an icon in the minds of those you encounter. I am not suggesting that you need a million dollar marketing budget or that you will be running full page advertisements in your local newspaper, but there are many things that you can do to promote yourself. That is right, you need to promote yourself (I know, you mom said not to brag, but this is not bragging). Devote the time to think about your image and decide what actions you must take to raise you profile within targeted segments of your community. Different personality types will find different ways to do this, so I do not suggest you simply copy others, as to make self-promotion successful, you must make it part of you. 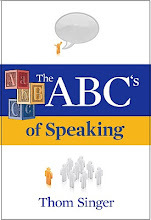 But everyone should become comfortable with public speaking, writing and networking. Putting forth efforts in this area will help you become seen as an expert. Take control and spread the word about what makes you a valuable asset to those around you. P.S. 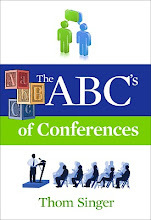 - Have You Read "Some Assembly Required: How To Make, Grow and Keep Your Business Relationships"? Now is a great time to check out my book as you wrap up 2007 and start planning for 2008. Additionally, if your company or law firm is planning a 2008 Strategic Planning Session, and you know that expanding the individual networks of those on your team...AND raising the level of corporate visibility in your community is important...contact me. I will be happy to come and speak at your event anywhere in the USA, Canada or beyond (Are you listening Ireland, my goal for 2008 is to come back and speak in your wonderful country!). Blogger, cartoonist and marketer Hugh MacLeod is a pretty interesting guy. His blog, that features his cartoons, opinions and other random stuff is widely read, and he has become a friend to many techies and marketers around the planet. His two main marketing clients of whom he blogs often are Stormhoek Winery (a South African wine producer whom he has help launch to international fame...although I still can't find a bottle in Austin, Texas), and Microsoft (that little company in Seattle), for whom he has created the Blue Monster campaign; "change the world or go home!" What is amazing about Hugh is the talent that he has employed to link the two together (Think of how Malcolm Gladwell can connect kindergarten and the plague). These two random companies with nothing in common have now been joined by the mind of MacLeod and the creation of Stormhoek Blue Monster Reserve, a private wine label exclusively for Microsoft. According to MacLeod - "The wine is not a commercially available product, just a wee "social object" for geek dinners and people inside the Microsoft ecosystem". This is great marketing. Find two items that seem to have no connection, link them together, create exclusivity, and WAMMO - - people are talking. There is a stir of tech folks who want the chance to be invited to sip this vino. I love it when two great things come together. When I was a kid and television shows would do "cross-overs" I was hooked (think "Six Million Dollar Man" and "Bionic Woman" or "Happy Days" and "Laverne and Shirley" having mixed episodes that tied together!!). Congrats to Hugh, I think this is genius. Heck, we are talking about it here at Some Assembly Required! This week's show is a "Must Listen". Liz Handlin was a great guest. She has 20 years experience in the HR business, and Liz Knows Resumes! Click Here to listen, or there is a button on the left side that will have her show live for one week. New Year Publishing is about to release a series of children's books by nine-year-old author / entrepreneur Paris Morris. The illustrated books chronicle the adventures of a young girl whose life changes when her parents add twins to the family. "I'm Having Twins" and "My Twins Are Coming Home" are the the start of her series. Check out her website, which has information about her upcoming books and also has free coloring pages and a chance to join her mailing list. Those with twins in the family (or if you know families with multiples), this site is a must. For all of you entrepreneurs who read this blog.... you gotta love a nine-year-old kid who decides to write her own books after seeing her mom writing! The entrepreneurial spirit is alive and well in the leaders of tomorrow!!! Sometimes when our lives get busy we rationalize that our networking efforts are frivolous and that if we just work late, or run home early it will not make a difference. Many business professionals have great plans for cultivating their connections and building real relationships, but when faced with driving across town to attend that business event or taking the time to schedule face-to-face meetings, they just don't have the extra energy. Thus they miss the chance to make that connection that can lead to real opportunities. The mistake in perception is that "networking" is not just about showing up at an event and passing out a business card. Building a network is really about putting forth your personal brand. It is about devoting the time necessary to creating your image and becoming “a little bit famous” in your industry or business community. By taking the time to show up at events, you are reminding people you exist. Out of sight is out of mind. If others do not know you, they cannot think of you when referring business. Additionally, when you know people who are offered amazing jobs (or other big deals), it is not because they were picked at random or someone thought they looked interesting on Monster.com. The amazing opportunities come into our lives from people we have already known and who know our work. All those people who go home early or hide in their cubicle miss the chance to set the foundation for their future. She is a great wife and mother and I want to wish her a happy birthday. The great part of having a blog is you get to say such things to the whole world!!! Voting closes at end of day Friday, September 21st for the SXSW Interactive Festival. There are 735 proposed panels and just about 100 spots, so your vote can make a difference. Please go and vote for my panel! If you have seen me speak in the past, feel free to leave a comment on the voting page. "Bootstrap You Book: Real Life Advice On How and Why To Self Publish"
Imagine a company that came to an employee or potential employee and discovered what is their passion…their inner life’s spark (you know, the “if you could do anything” stuff). The executives in this business could craft a job to meet the person’s strengths and additionally find ways to help that person chase their dream. Think of how this company's staff would feel about coming to work knowing that everyone wanted to see the employees individually find balance in their life and prosper. Everyone has different things that bring them joy. If they feel they must hide their passion at work they will never reach their potential. A company can engineer salary and responsibilities to meet the needs of an employee, creating a unique combination of flex time and performance targets. Together a company and its employees can prosper. 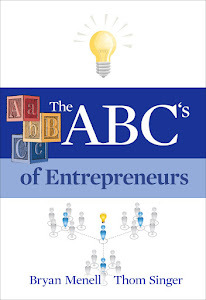 The individual can pursue his dream while working to make the business wildly successful. Sound like a fantasy? It isn’t. There are companies out there that are seeing their future success depends on working with their staff to create a win-win work environment. No longer can a company just have a cookie cutter job description and expect the best talent to be excited about conforming to meet the mold. The future is carving out unique roles for unique individuals. When I was a youth my dad once told me that a person is not fully grown-up when they turn eighteen. Sure, you can vote, go to war, illegally drink beer, get married, and all that other "adult stuff", but one is not grown until they know who they are in their heart...and are comfortable with that realization. He said this happens sometimes between the ages of 35 and 40. At the time I thought this was ridiculous. I probably rolled my eyes and thought "yeah, whatever". As a cocky teenager I believed that the image of being an adult was all that mattered. The law said 18 was the demarcation line, thus it must be fact. But like most things that my elders told me in my early years, he was right on the money. As I have passed the BIG 4-0 I have become much more at ease with my personal strengths and my weaknesses. I am no longer ashamed of the things I do not do well (I am a lame-o in most sports), and I am not as braggadocios about my talents. I am at peace with who Thom Singer is as a person, and happy with my place in the world. The image is no longer holding the same level of important. Mistakes? Oh, yes, I have made a lot of them. I will continue to make them. But they are just threads that make up the tapestry of my me-ness. I have some regrets and some areas I strive to improve....but for the most part, to quote that great sage, Popeye The Sailor Man, "I am what I am". I think this is important to grasp in our personal and professional lives. I meet a lot of young people (mid-twenties) who are very focused on proving themselves to the world. They love the image of success, without really understanding how it is attained. They buy BMW's on extended credit and act like they are hot stuff. I smile, because I walked that path, too (minus the BMW). I wonder if they are lucky enough to have a good dad who told them the "truth" so they will recognize their real soul when them meet themselves at age 40. As I sat having lunch at Whole Foods Market the other day I watched a young couple arguing about their finances. (Yes, I was eavesdropping, but they were also talking loud!) She complained that his car payment was too much and he should sell the sports car and buy a Honda. He belittled his wife's comment by telling her that she needed to understood that "image trumps money any day". He was not kidding. I wonder if he will feel the same way in 15 years? I silently laughed. My guess is one day he will have a second wife who will understand all about image! Ignore the image you have created and live as the person you are. Let you business associates see the real you, and you will create more powerful long-lasting relationships. Allow yourself to pursue your heart's desire. Embrace each day as the next step to attaining your goals. And be true to that voice inside that is showing you the way to success. This week I had a great conversation with Chris Justice, CEO of Sparksight. Chris is an expert in marketing and advertising with a unique understanding of the importance of social media and how this ever changing area is impacting companies. The world of PR, marketing, advertising and corporate event management are all being turned upside down as a variety of emerging social media outlets. Corporations no longer control the public conversations about their products....customers and other observers are in charge. People are talking and smart companies are paying attention. Is it scary for a 50 year old CEO or entrepreneur to accept that a bunch of 25-year-old technology enabled bloggers and discussion forum participants are going to have as much or more impact on her company's image as her highly paid PR firm? Yep, scary as hell. But that does not change the reality of a Social Media Web 2.0 world. CLICK HERE to listen to this great conversation between myself and Chris Justice of Sparksight. My wife and I have begun renting all the Academy Award winning movies from 1960 forward (not in order, as Netflix just sends them as they choose). We came up with this idea after attending a wine dinner at the Alamo Drafthouse Movie Theatre (Film Noir and Pino Noir! ), where they showed the movie "The Apartment". This 1960 Academy Award winner was quite fun, and they served wine from the MacMurray Vineyards (Actor Fred MacMurry was one of the stars of the movie). Additionally, all the food served at dinner were what the characters in the movie at during the show. Since then we have seen about 5 of these old classic Oscar winners. While all interesting, the most amazing thing is the slow pace of some of these movies. We have to remind ourselves with each movie that Hollywood has matured over the past forty years, and the styles that made a good flick in the 1960s are just different today. Last night we watched "Lawrence of Arabia", the 1962 Best Picture. I had seen this one before (we are skipping the ones we have BOTH seen....and therefore will NOT have to repeat viewing of my least favorite, "The English Patient"!). Lawrence of Arabia is nearly four hours long, and while the cinematography is phenomenal, we both fell asleep with about 45 minutes left. Any movie that has an intermission built in should not be viewed in one sitting! Still, even at four hours long this film ran circles around "The French Connection" (1971) and "Tom Jones" (1963). Not that these were bad movies, they are just a crystal clear example that our culture has changed and our expectations of entertainment have become more demanding of constant action and stimulation. Make it a priority to help others achieve their goals and you will be amazed at how it will improve your life. We interact with people everyday and have no idea what is going on inside their soul. People who work in banks, law firms, accounting firms and other businesses often have passions beyond their careers. When you discover what inspires people in their heart, you will have an amazing key to unlocking a more powerful relationship. Discovering these interests are as easy as asking "besides your job and family, what really interests you?" or "if you could do anything in the world, what would that be?". These simple inquiries can open the flood gates to what makes them tick. Once you know this, you can become a conduit to their future success. Even if you cannot help them, you can be one of the people who support their dreams, and having support can make all the difference in the world. People are drawn to people who take an interest in them. When you show them that you look at them as more than a co-worker, client or prospect....but instead as a human being, you will stand out from the crowd. Especially if the person is a client or a prospective client. Too often when we sell to people we see them as the "prize". The hunger to win the business makes the other person feel like a piece of meat. If you look at your network of professional contacts and only see people as a path to attaining your success, then you are not really networking. Instead, look at how you can help other people. Uncover ways that you can be help others build a bridge to success, even if you get nothing in return. When I help others, I love seeing the smile on their face. I do not expect them to repay me beyond a "thank you". Yet, opportunities come from people, and some of those you assist will find ways to later help you reach your dreams. Not everyone, but it only takes one special person in your life to launch your future into the cosmos. Do you ever feel like your attitude has suffered a massive coronary? You want to see the glass as half-full, but it is just screaming "half-empty" so loud that you are dead on arrival? We all have bad days, but sometimes those bummer feelings take over your life and limit your potential. You want a bright future, but all you see are gray clouds. 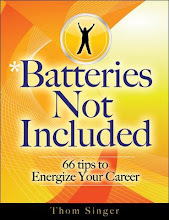 On these days, wouldn't it be great if you could just shock your attitude back to life? My friend, Chad Goldwasser, (one of America's top realtors) is a master at personal motivation. He has grown his real estate empire, The Goldwasser Team, into one of the most successful within the Keller Williams organization. He will tell you that one of the reasons for his amazing achievements has been that he has learned how to harness his positive attitude. Hanging around with Chad is like having Tony Robbins as your best friend. He is always excited to see others reach their potential, and has launched The Goldwasser Institute to empower individuals to make constructive changes in their personal and professional lives. He has created seminars, motivational CD's and other training products that can jump start people who want to accomplish more in their lives. His newest product is a CD titled "Attitude Defibrillator". It is based on his belief that while attitude is not "everything", choosing to attack your life with a positive demeanor will help propel you forward. I was having a "bad day" on Tuesday morning. I had a copy of the CD and popped it into my car's player....WAMMO... once the CD was done, I felt like I had received an electric shock that helped put my attitude back on course. Chad's words and his excitement were like a defibrillator restarting my positive attitude. This new CD is available for purchase at The Goldwasser Institute website for $18. A small investment for a way to zap your attitude back on track. If you regularly listen to motivational materials in your car, this program is for you. If you do not regularly listen to such materials, maybe you should! The next Austin Tech Happy Hour will be this Thursday from 6pm - 8pm at Gruv (at 101 West Fifth Street), just a few doors down from Kenichi. Last month's event was much bigger, and thus very crowded, so a larger venue was necessary for September. This event will be at Gruv, one of Austin's top nightspots, and the whole place will be exclusively for this happy hour. There is ample parking across the street and next door. ATHH would like to thank Compass Learning for sponsoring the September happy hour. As one of Austin's top employers, they are one of the nation's leading providers of K-12 education software. And a big thank the Young Men's Business League for their support! If you live in Austin, and work around the technology industry, you do not want to miss Thursday night's Austin Tech Happy Hour. I am a big fan of Penelope Trunk at the Brazen Careerist Blog. She writes provocative articles that are aimed at Generation Y, but really is stuff for everyone to ponder. She is opinionated and says some over the edge things, but this is why she is so widely read (loved and hated) by readers around the world. “One week of the New York Times is more information than someone would have come across in a lifetime in 1800″. Wow, think about that. We are not talking about thousands of years ago... this is just 207 years. Hardly that much time in the big scope of things. With all the information that we have at our fingertips via TV news, NY Times (and other periodicals), the internet (including, but not limited to, blogs, message boards, listserves, videos, news sites, ebooks, etc…) what are we doing with it??? Are we happier and more at peace as people? Are we making the world a better, safer and more stable place? Is having the latest information on Paris Hilton equal to having the latest information on the tragedy in Darfur? Can we and do we embrace the useful information that allows us to be more productive ….. or does it just all become fluff that clouds or minds and makes us retreat more into ourselves? Is someone who has read all that information in one week of the NY Times somehow better than someone in 1800? Please take the time to listen to this week's radio show blog podcast. Jason Alba of JibberJobber is my guest and he does a great job of explaining why networking is important to anyone looking for a job, anyone who has a job, and anyone who may one day be looking for a job (that is everyone who is not independently wealthy or retired!). The interview lasts thirty minutes, and you will want to hear it all. Click Here. (NOTE: once you get to the site, do not hit play, the recording will start in a few seconds automatically. If you hit play you will get dual tracks playing at the same time!). Do Not Do Everything The Same Way That Other People Do It. Zoom. POP. SHLOOWKY. Dingo-Bingo. Kirplunk. Do you know what I am trying to say here? I am giving you permission to break the mold and try something out of the ordinary. Too often we get caught up in doing everything the same way as our friends or the competition and working to not draw any attention to ourselves. While you do not want to go too far over the line and be massively bizarre just to be different (we all know those people! ), you should realize that hiding in sameness will not produce your desired results. I struggle with this, but I know first hand that when I try new things is when success follows. The efforts to stretch my own limits brings the attention (good and bad) which leads to opportunity. When I find myself staying with the pack, nothing ever happens. Get in touch with your inner soul. Discover your brilliance. Find a way to sparkle in a vanilla world. Allow the inner waves of creativity to bathe your brain, and then let it ooze outside of your mental cocoon. We can all benefit from being in sync with our own unique ability to think outside of the conventional wisdom. This is not easy. A conformist mentality is a comfortable place to reside. To be more creative we must look for opportunities to push ourselves toward new challenges. Reading a variety of materials and searching for the inspiration is the start. Others with different points of view can be the key if we are open minded enough and not be judgmental. Make new friends from different backgrounds, ethnic groups, and political parties. Look for ways to draw seeming separate items together to create something new. Observe everything in your environment and do not be frightened to mix things up. We all make assumptions about the world around us: people, organizations, places, situations, rules, etc... It is part of the human experience to jump to these conclusions, but to find mutually beneficial ways to triumph in group dynamics we need to look beyond what is visible. The world is more complex than we can tell at first glance. Real visionaries look beyond the issues at hand. True entrepreneurs just discover new paradigms. I am always amazed at these people who see what others do not. They can make connections and create a new reality with relative ease. If you only hang around with people of the same race, religion, political belief, economic background, and education you will find your image of the world will become monochromatic. You need diversity in and around your aura to engulf success. 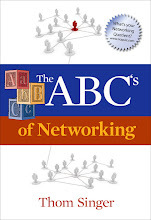 According to an article in the September 2007 edition of IN Magazine, Stanford University researcher Mark Granovetter found that 70% of jobs are discovered through networking. Let us assume this statistic is correct (I have no reason to doubt Mr. Granovetter), then what in the world is wrong with the numskulls out there who discredit the power of having a strong network of professional contacts? I can write books, give speeches and scream from the roof tops about this topic, and I still get emails from people who think it is a waste of time to aggressively network. These are the same people who consider others "lucky" who regularly get great opportunities. If you do not know the right people, you will be waiting for Godot. You are up to your elbows in your technology start-up and the last thing you have time for is networking. It is a given that life in a start-up is all consuming, and the long hours of micro focus can leave you little time for anything else. The last thing on your mind is taking the time to meet new people (outside of investors, co-workers and prospective beta customers), and cultivating mutually beneficial relationships. Especially when there are no short term guarantees that these people can or will help you tackle your start-up mountain. To see your immediate situation as the center of the universe is easy. Often people working in dynamic young companies develop blinders to anyone and anything who is not in their current circle of activity. While you can rationalize that this is short term while you work toward an exit strategy, it is an easy trap for those who are naturally introverted to avoid making and maintaining the valuable asset of a network of professional contacts who can and will lead you to future opportunities. Opportunities come from people. No entrepreneur has ever succeeded in the long run by living in a vacuum, and those who are successful time and time again have created impeccable teams of talented people who have come to know, like and trust each other. Having a real network of contacts help you and your business make connections with investors, key service providers (lawyers, accountants, bankers, consultants, etc...), customers, employees, the media, and referral sources. Who would not want to have a Rolodex of successful, experienced, respected, and influential people who go out of their way to help you achieve success? Those successful business professionals who are confident in themselves relish the chance to be of assistance to those whom they know and respect. People like to do business with those they already know. By consistently investing the time to make connections with new people you are more likely to establish real bonds before you desire their assistance. If you wait to "do your networking" for when you need to make the contacts, your odds of developing a true friendship (where you have earned the right to ask for favors) are diminished. Additionally, people will see you as a taker if you just show your face in the business community when you have a need. Developing business contacts requires you to make networking and friendship cultivation part of your lifestyle. You need to be willing to help others, even when there is not immediate benefit. Being selfish will not establish your reputation and will limit the number of people who will want to see you succeed. However, if you are committed to establishing real connections that benefit others, you will find that your goals and desires will become a priority for others. Many start-up jockeys like the idea of having a bigger and better network, but they fear that it takes a time commitment. Yes, it does. However, the time is not as much as you might think. Devote one night a week to attending a technology industry event. 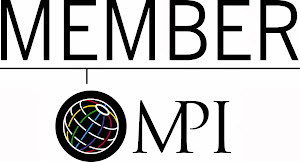 In Austin there are many organizations that provide excellent networking opportunities. Participation is the key. Just planning to attend an Austin Tech Happy Hour, TEXCHANGE or an Austin Technology Council event will not provide you with results. A final point, not everyone you meet will you want to get to know better. That is okay. You wont like everyone, and not everyone will like you. Don't let those that you do not have any connection with keep you away from your networking responsibilities, as your future success could depend on that one person you have not yet met! Law Firm Marketers Are Being Locked The Back Room! Free them and your firm will prosper. I have never understood why so many law firms hire marketing professionals and then stash them away in an interior office. Your marketing team can be a huge asset to helping promote and protect the image of your firm....but many lawyer think that if you do not have a JD you are sub-human (yes, they feel this way about clients too, but since clients pay their ridiculously high fees, they pretend to tolerate them). Firms do not require, encourage or allow their marketing professionals to ever represent the firm in the business community. Bruce Allen has an important post on his blog today about why law firm marketing professionals need to network. This is just good business for the firm. If you are a lawyer and your firm employs marketing professionals, check their expense reports to see if they are attending a minimum of two business events every week. If they are not, find out why. Is it that they are lazy and just sucking on your firm to get a pay check, or is it because some idiot senior partners do not think it is a good idea for them to be out networking. Neither of these answers are appropriate. Today we have another GUEST BLOG from marketing communications guru Marny Lifshen. 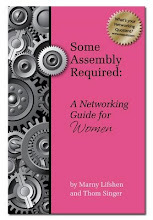 Marny is my co-author for "Some Assembly Required for Women - A Guide to Networking Skills", which will be released later this year. A few weeks ago I attended an educational conference and awards program for women called “Profiles in Power.” During the luncheon speaker and awards ceremony, I sat with one of my clients, who had purchased a table and invited a variety of clients and referral sources, including several men. Of the approximately 600 attendees of the luncheon event, I’d say less than 100 were men. As we enjoyed our meal, I chatted with the man to my right, a banker in his late twenties or early thirties who had just moved back to town. He looked around the room and commented to me that it was a bit strange to be in a room with so many women and so few men. I smiled and commented back that in my 15 years of networking it was fairly common for there to be six men for every woman at professional events I had attended. 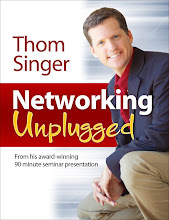 This is one of many reasons that I am co-authoring a book with Thom Singer specifically providing women with strategies and skills for networking. When I mentioned this to my lunch companion, he asked me, “Is networking really that different for women than it is for men?” The answer to this question is no and yes. It is true that many of the basic philosophies and methods of networking apply to both men and women, and that anyone can learn to be a successful networker. The reality is, however, that men and women have different skills, strengths and styles. Our networking experiences can actually be quite different – even at the same event, within the same organization, or in the same industry or community. Attention to detail: As most men will tell you, women tend to notice and remember everything! Our ability to keep track of details can be a huge advantage, as we can recall important information such as when we last met someone, their profession or employer, and recent accomplishments or news. Women also tend to be thorough with follow-up, delivering promised information or promptly scheduling meetings. The personal touch: Men can be all business, all the time – and that includes networking. But one of the best ways to make a connection, and to then build that connection into a successful relationship, is by adding a personal touch. Asking about family, remembering birthdays, learning about hobbies, taking food preferences into consideration when choosing restaurants – personal touches like these, which most women do instinctively, make a positive impression and help develop rapport. Multi-tasking: Networking events and organizations offer a great place for women to utilize one of our most valuable skills… multi-tasking! We are comfortable and experienced in juggling multiple activities simultaneously, so meeting new people, re-establishing connections with existing contacts, hosting clients or colleagues, and expanding our skills and knowledge through educational programs and volunteer activities (all at one event) is certainly achievable. Etiquette expertise: Whether sending thank-you notes, properly introducing people at events, RSVP-ing, or returning a call in a timely manner, women usually believe etiquette matters are important, while men can often overlook them. Again, this is an opportunity to set us apart and make a positive impact while networking. So embrace your natural style and abilities, ladies! These differences from our male colleagues can be advantages, and used properly can lead to even more success in networking. In the complicated online world, there are so many places to have a presence. I have found in talking with people that many are confused by all of the social networking Web 2.o interactive options, that they simply avoid them all. Many business professionals have chosen LinkedIn as the social networking site of choice, but what do they really do with it? The problem with MySpace, Facebook, LinkedIn, etc... is that once the masses of people discover these sites, the party is over. Too many people pollute the ecosystem by jumping in without regard as to what online social networking is really about. They create fake personas for marketing purposes (when fictional TV characters have MySpace pages we are losing touch with reality) or they are simply "link collectors" with no real life connections to those whom they claim as "friends". I think that the most effective way to have a presence on the internet is to have a blog. There are some who argue that blogging has become passe, and that everyone important is moving to "Twitter", but the two are not mutually exclusive. A blog gives the author the power to cover the topics of their choice, and the community of readers will continue to come back if they are engaged. It is also the best tool I have ever found to help an individual or a business to cultivate their brand. Seth Godin, who writes one of the world's most popular blogs, claims he would write his blog even if nobody read it (millions read his blog!). Why would he do this? Because there is more to the blog experience than just the adoring fans. In fact, most active bloggers will agree that their blog effects them in a variety of positive ways. If you would like to have an online presence, you may want to consider starting your own blog. One thing, however, do not do this unless you are willing to post three to four times a week. The blogosphere is littered with dead blogs founded by people who thought it would be easy, but then tired of their project. To be a blogger means that you have to post on a regular basis. Embrace your blog and have fun. This will allow you to establish and online reputation that can be unparalleled. South By Southwest (SXSW) Interactive Panel Picker - Vote For Me! Each spring Austin, Texas is host to the the SXSW Interactive Festival. This conference features five days of exciting panel content and amazing parties. Attracting digital creatives as well as visionary technology entrepreneurs, the event celebrates the best minds and the brightest personalities of emerging technology. Whether you are a hard-core geek, a dedicated content creator, a new media entrepreneur, or just someone who likes being around an extremely creative community, SXSW Interactive is for you! I have submitted an application to moderate a panel discussion titled "Intuitive Self-Marketing 3.0". In the complex new media world, your personal brand extends beyond just your daily actions. Blogs, list-serve participation, MySpace, Facebook, Twitter, YouTube, Flicker, Plaxo Pulse, LinkedIn, video resumes, and countless other services all make up the online image that will effect your business and social life. One can not afford to leave your personal brand to chance, you need to have a strategy. If you would like to vote for my panel to be part of SXSW Interactive, you can go to the panel picker, register, and cast your vote. There are 722 proposed panels, and approximately 100 spots. Click Here to go right to the description of my panel. Tim Ferris has created quite a stir with his best selling book, "The Four-Hour Work Week". I have recently become a fan of Tim's blog, and was curious to read the book. Ferris is an ultra-vagabond and member of what he calls the "New Rich". He lives a lifestyle that many dream about; traveling the globe to exotic locations while still managing to run his on-line mail-order vitamin supplement business and several other business ventures. He only checks email once a week from whatever random location he finds himself. He has people who handle the day to day issues of running his businesses. He lives a life of prioritizing, outsourcing, and exploration. It apparently works for him, and one can only admire him for having the balls to "just do it". I am not sure that just anyone could replicate the life Tim leads, nor would everyone want to live in this manner. His book makes it seem very simple (too simple), but the truth is that he had built his business (AKA income source) prior to establishing his lifestyle, so his reality is that he modified and morphed into this world, he did not simply create it. Additionally he talks of people who work for companies that work remotely while wandering the globe, but I think he oversimplifies how "easy" it would be to sneak off and work overseas without your employer noticing. His example of a software engineer and programmer who can code from China and email his work back to the office does not translate to any career. A hotel catering manager cannot oversee dinner for 400 remotely from Guam. That criticism aside, this is a great book that has made me think a lot about my life and what I want from my future. While there is no easy way to wave a magic wand and live the life of Tim Ferris (nor do I want to), I do believe that anyone can increase their income and work less hours. Life is short and we all should identify what we would enjoy doing if we had more available hours and income, and then discover how to get more free time and cash. "Just because you are embarrassed to admit that you're still living the consequences of bad decisions made 5, 10, or 20 years ago shouldn't stop you from making good decisions now. If you let pride stop you, you will hate life 5, 10, and 20 years from now for the same reasons. I hate to be wrong and stayed in a dead-end trajectory with my own company until I was forced to change directions or face total breakdown - I know how hard it is. Pride is stupid. "Being able to quit things that don't work is integral to being a winner. Going into a project or job without defining when worthwhile becomes wasteful is like going into a casino without a cap on what you will gamble: dangerous and foolish." This is the most important advice in his book. It is not about copying a vagabond lifestyle if that is not your goal. It is about discovering what your soul is screaming to accomplish during your limited stay on earth. If you are not currently enjoying your life, make the necessary changes to create a new path. Do not postpone your heart's desire. Admit that you have dreams and make them real. I like Tim's style and would enjoy the opportunity to meet him one day. While we live our lives very differently (I am not sure he would welcome the "married with children" lifestyle at this point on his journey! ), I respect and admire what he has done. Reading his book was like spending a couple of hours with him talking over Tex-Mex and margaritas (which I invite him to do next time he is in Austin). Click Here to hear a recent podcast. I was interviewed by Ed Poll at LawBiz.com. This was a fun discussion with valuable information for lawyers and others. This week I had no guest on the Blog Talk Radio Show, but instead took 15 minutes to discuss the importance of having a blog as part of your strategy to create your personal brand. I have had some feedback that 30 minutes is too long for listening to a podcast, so I am experimenting with different ideas. I think on weeks with no guest I will stick to 15 minutes, but 30 minutes still is probably best for an interview. I welcome your feedback. Click here or for one week on the button to the right to hear the replay of this week's program. I am quoted in an article about blogging in today's Honolulu Star-Bulletin. A reader of The Some Assembly Required Blog from Hawaii e-mailed me this link. The writers (John-Paul Micek and Deborah Cole-Micek) quote me from an article I wrote over a year ago for ProBlogger.net. 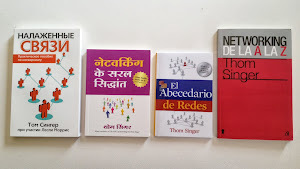 At the time my blog only had about 100 regular readers via RSS, but I was happy with this because the purpose of the blog was not to dominate the blogosphere, but instead to help promote my books and help me get corporate speaking engagements. These goals are still being met, and my RSS readership is now much larger....and so I keep on bloggin'. Micek and Cole-Micek's advice for business professionals who blog is to remember that success is not based solely on traffic and RSS feeds. The success of your blog should instead be measured on how well it helps you promote your business. Very true! Anyway, it was fun to know that I am in the Hawaiian newspaper today....although it would be more fun to actually be in Hawaii! I think a goal for 2008 is to speak at a conference in Honolulu. Often times people are overwhelmed by the magnitude of the crowd when they attend a business conference, seminar or networking event. With hundreds or even thousands of attendees, many people can become fearful of trying to make connections. For those who consider themselves introverts, this can be even more daunting. We all know that opportunities appear in our lives from other people, and thus having connections is important..... therefore it is beneficial to expand your network of contacts. Leaving this to chance is not a good strategy. A plan of action is always a better choice. "Don’t be afraid of the crowd and feel like you have to meet everyone. Learn a bit about the event in advance and discover who is expected to be in attendance. Then make a list of 2-3 people that you would like to meet and develop a quick strategy to break the ice. After a couple of small successes under your belt, the crowd gets easier to manage and fear starts to dissipate. As an introvert that is how I had to approach working the room – it wasn’t about meeting everyone. If I came home with two business cards and had started a relationship with those two people it was a win. As an introvert at heart it is still hard to work a room, but I don’t have the anxiety I had about it 10 years ago." Tad is right, Rome was not built in a day. Start small and build your network one person at a time.